This is an original trend indicator. Its values vary from -1 to +1. 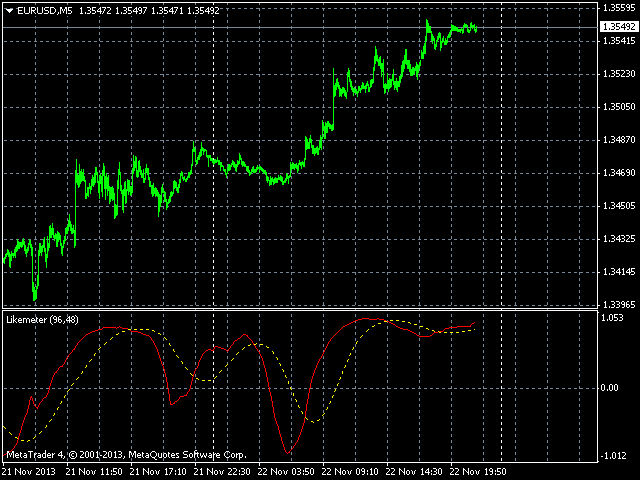 The closer the indicator is to +1, the stronger is the ascending trend. The closer it is to -1, the stronger is the descending trend. 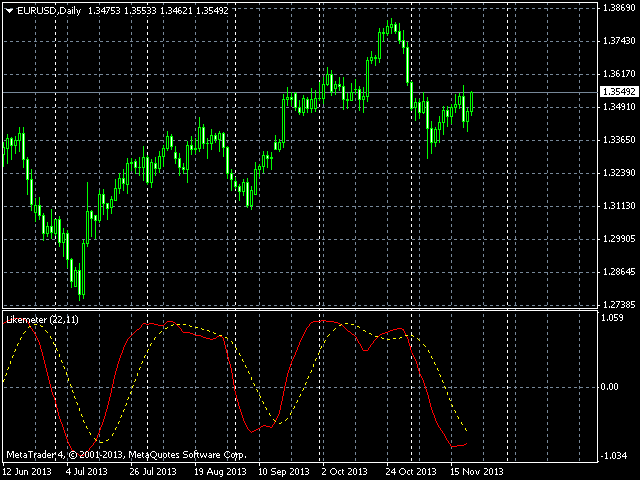 The indicator can be also used as an oscillator for determining the overbought/oversold state of the market. 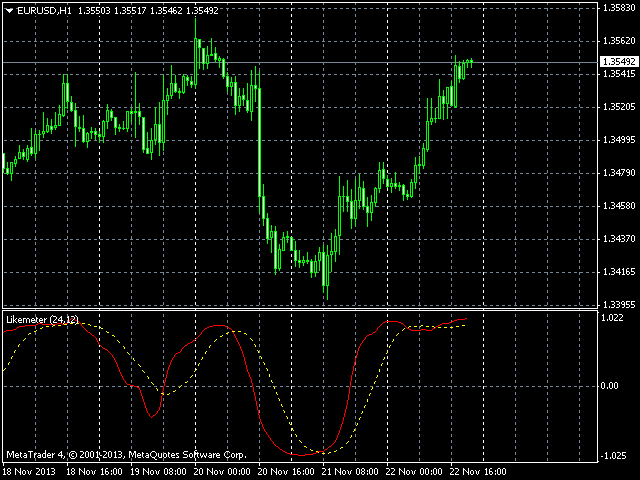 The indicator has a signal line - a moving average of the main line of the indicator. In the Period Main parameter, specify the number of bars used for calculation. Period Signal determines the period of calculation of the signal line of the indicator. The product has been compiled with the most recent compiler version.